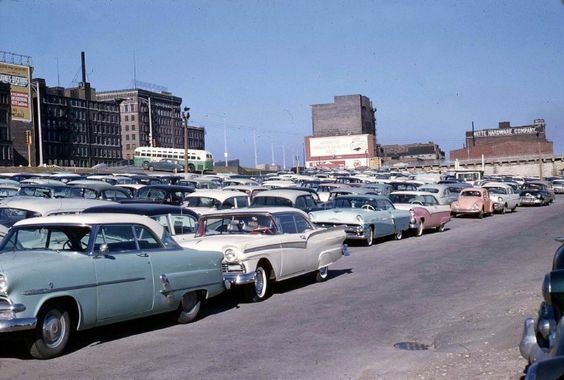 This is the riverfront parking lot in the 1950s after the site was cleared, but before Arch construction started. That white car in the front is a 1957 FORD. There was also a transit bus parking lot on the future arch grounds, as buses brought workers to downtown and parked there during the day waiting for the evening rush home. There is a photo of the bus parking also, somewhere.